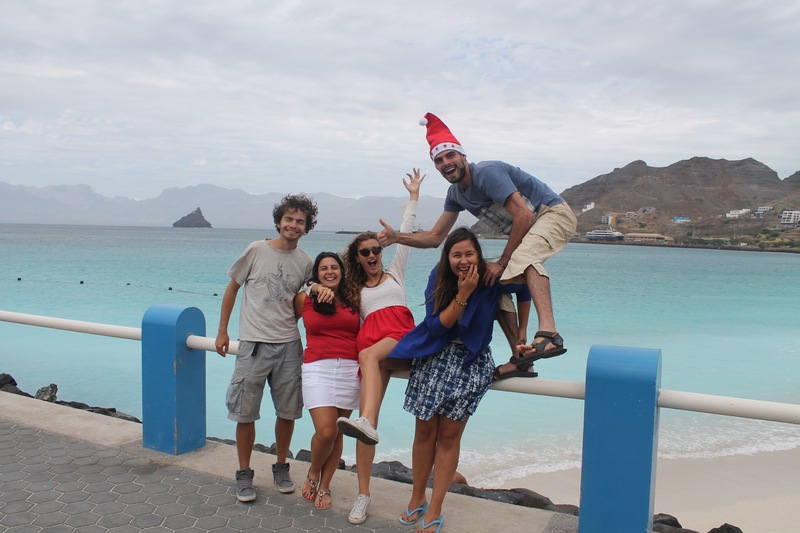 Maria, Ana Teresa, Elsa, Emi and Zé are in the end of their European Voluntary Service experience in São Vincente, Cape Verde. 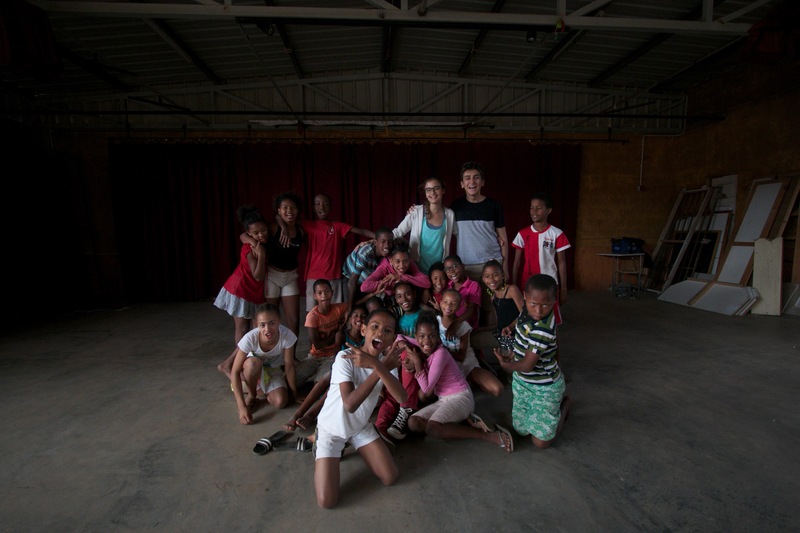 Their project is part of the social initiative “Bridging Europe and Africa” (http://beasi.eu), developed with the financial support from the European Union’s Erasmus+ Program Key Action 2 – Capacity Building in the field of Youth. Romania – Asociatia de Tineri din Ardeal (ATA) (coordinating organization), Portugal – Aventura Marão Clube (AMC), Cape Verde – Associação Amigos do Calhau and Benin – ONG Minangan (parnters). 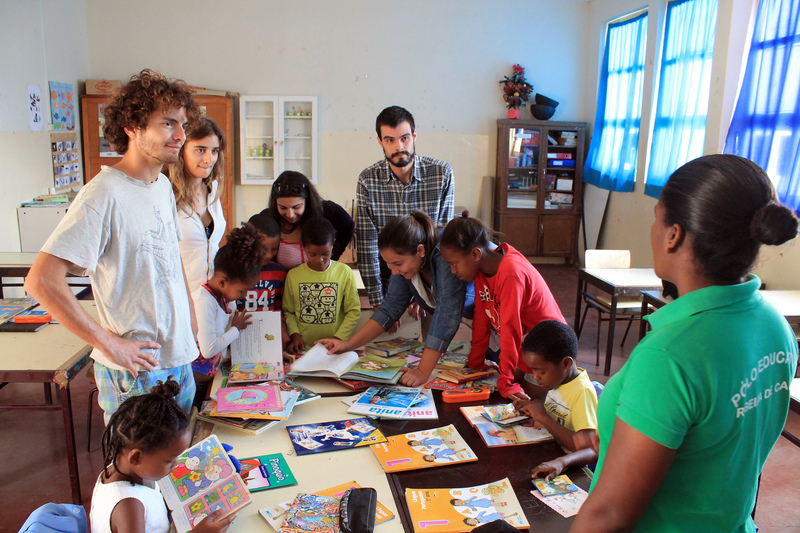 The duration of the project is 20 months, from November 2015 till July 2017, and it included 4 main activities: a workshop for 24 youth workers held in Amarante (February 2016 for 7 days); two Job Shadowing activities, held in Kétou by ATA and an other one from AMC also in Kétou (for 5 and 21 days); two Meetings for middle evaluation and planning EVS, held in São Vicente, Cape Verde and Kétou, Benin for 4 and 5 participants (July 2016 for 5 days); two European Voluntary Services held in São Vicente and Kétou, for 4 – 4 participants (September 2016 – March 2017). “All that can be said about the experience as European Volunteers is little in the face of the grandiosity of all that is lived, of all that is gained when we decide to give ourselves to people, to causes. 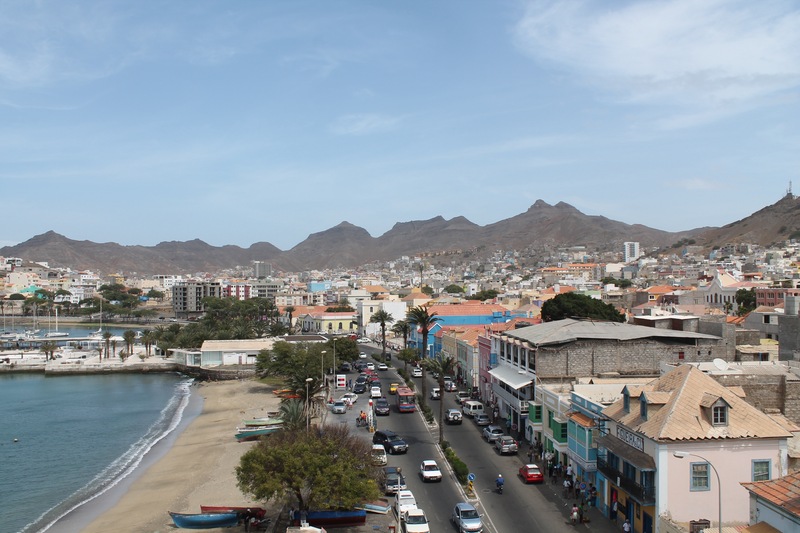 The days, here are in São Vicente, Cape Verde, have not yet reached the end but we can no longer ignore the countdown that settled, without warning, in the depths of our mind. Looking back is now a mix of happiness and melancholy. It was both moments and people that touched our hearts and who, we like to believe, let themselves be touched by us too. There were good and bad things, experiences that we never had and that we will not have again, difficulties and the satisfaction to overcome them. It was realizing that the way we see life changed without us noticing it and suddenly everything that was fundamental became accessory. We had projects, many. We did not want to change the world, we just wanted to help. 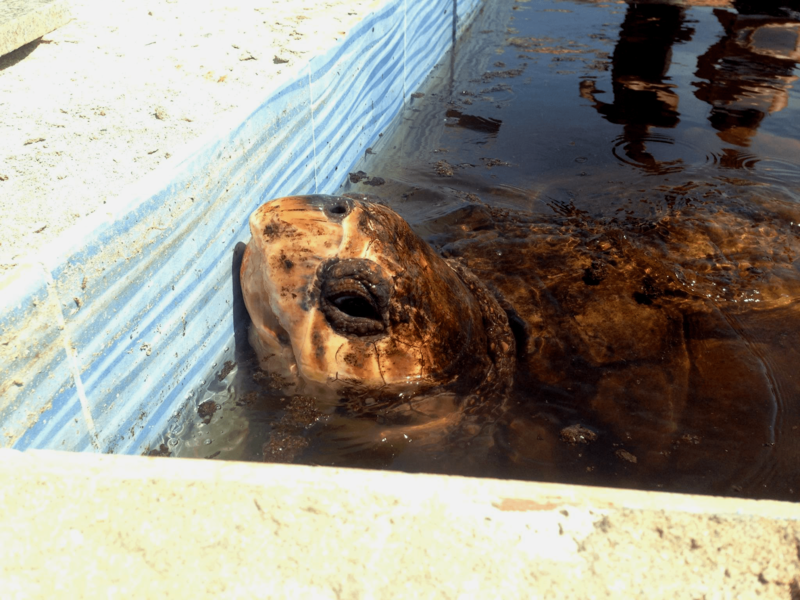 Help with environmental problems, humanitarian issues. Help. We participated in and created cultural events, gave tango lessons, distributed books in schools, clothes. We helped build a chapel in honor of Santa Luzia, for whom fishermen nourish great devotion, delivered school supplies, supported local associations. We spent days on the island of Santa Luzia in a beach cleaning campaign that removed huge amounts of litter from the coast. We provided school support to children, prepared exhibitions, helped rehabilitate the MarVivo Environmental Interpretation Center in Calhau and it was also there that we held a training in hygiene and safety at work for fishermen and fishmongers. 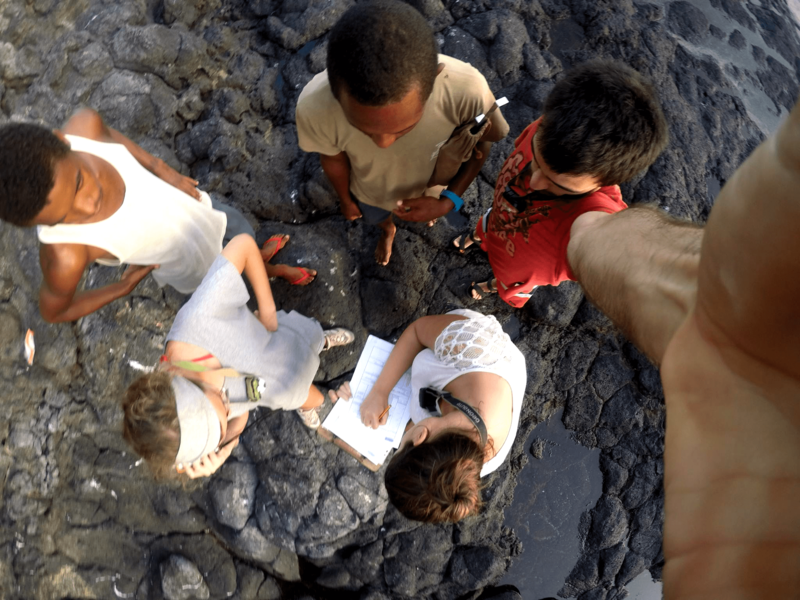 We integrated a pioneer sustainable tourism project on the island and many other activities that kept us busy daily.